There’s no getting around the fact that selling a home is difficult work. However, some sales are easier than others, and knowing the right tips and tricks can make all the difference. 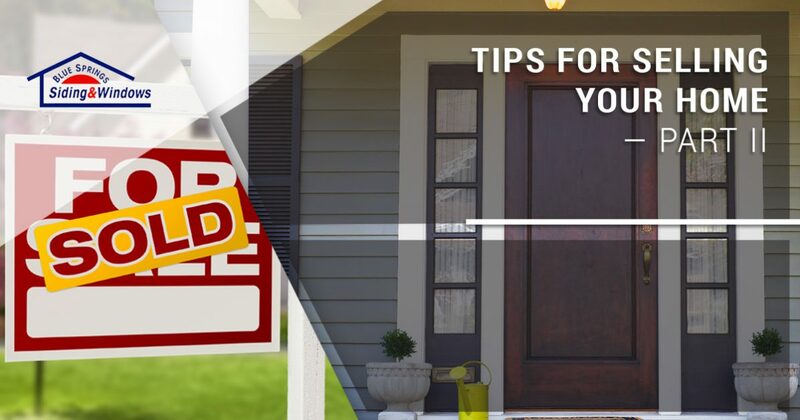 We provided you with a few tips that can help you increase your chances of a quick sale in an earlier entry, so be sure to catch up on that information if you haven’t yet read it. In today’s post, we’re going to provide you with even more helpful tips and tricks that can help you prepare your home for a fast and painless sale. Blue Springs Siding and Windows is proud to be the go-to window and siding company in Kansas City and the surrounding areas. 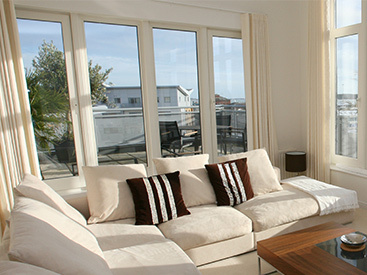 From window installations and roof replacements to everything in between, we’re here to help you upgrade your home from top to bottom. Get started with a free estimate here, and read on for more tips that can help you sell your home! It’s no secret that the weather here in Kansas City can be both dynamic and harsh. 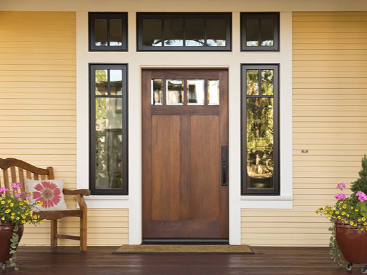 Your entry door might be chipped, cracked, or faded due to years of wear and tear, and make no mistake about it — buyers will notice. They’ll be looking right at your entry door as they wait for you or your agent to let them in, so why not invest in something that will impress them from the start? The Blue Springs Siding and Windows showroom has a number of great options, and our entry door installation experts will ensure that your new door is as functional as it is beautiful. 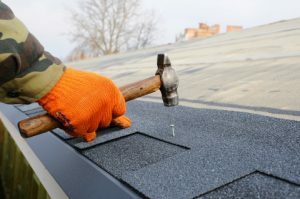 While a roof installation may not be the first thing that comes to mind when you think about lucrative home improvement projects, it is something that should be on your mind as you prepare to sell your home. Buyers want to know if they’ll need to perform any major renovations, and they may be reluctant to purchase your home if the roof is in less-than-ideal condition. If your roof is showing signs of deterioration, or is more than 20 years old, then you should strongly consider replacing your roof. Come by our showroom and speak to our local roofers and we’ll gladly help you find the right option for your home. Just like your roof, Blue Springs Siding and Windows has you covered! You’re selling your home and presumably looking for a new one, so think about things you’ve been looking for as you tour homes and look through online listings. It’s natural to be impressed by buyers who take the time to list the improvements they’ve made, so make sure that you’re bringing something similar to the table! Whether we’ve helped you with a siding or window installation in the past, or you plan to take on one of the other projects we’ve discussed in this series, showing buyers that you’ve taken immaculate care of your home is a great way to build rapport and increase your chances of getting an offer. Get in Touch With Blue Springs Siding and Windows! We hope that this two-part series will provide you with the information you need to sell your home quickly. 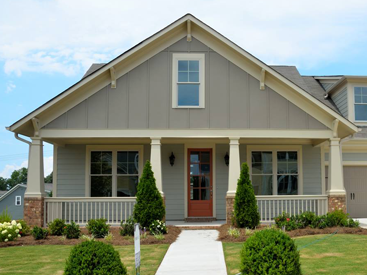 Keep an eye on our blog page, as we’ll continue to provide you with more information about boosting your home’s curb appeal and increasing its overall value in the coming weeks and months. Blue Springs Siding and Windows proudly provides window installations, siding installations, and a variety of other home improvement services in Kansas City and the surrounding areas. Fill out the form below to get started with a free, no-obligation estimate for your home!